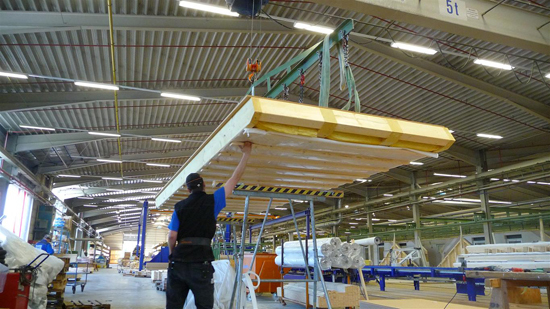 How Bespoke Can a Factory-Built Passivhaus Be? Building houses in factories is nothing new in mainland Europe yet in the UK the practice is still uncommon. 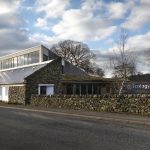 Perhaps there is a stigma attached to what we envisage a factory build to be, but what is the reality of commissioning a custom built energy-efficient home? In this case study Tony Hills shares his experience of using Hanse Haus. 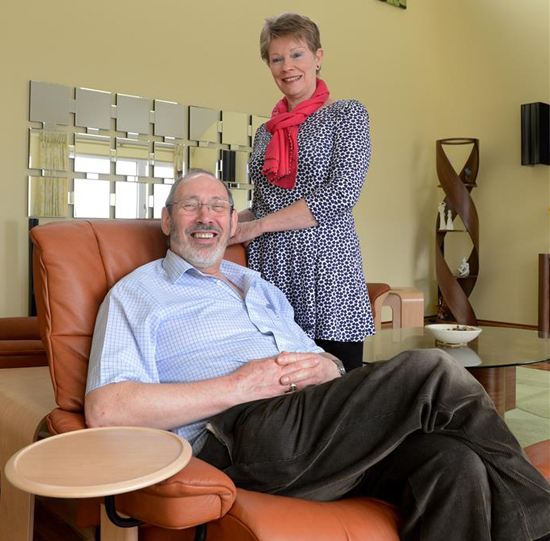 After being inspired by an episode of Grand Designs that featured a system-built house, Tony and Jean Hills knew that they wanted to go down this route and so started researching turnkey solutions. A Passivhaus also uses mechanical ventilation with heat recovery to extract stale air from the house and bring in fresh air, without losing the heat. This leads to a much more stable environment and higher levels of comfort. Tony attended numerous exhibitions to weigh up the options and eventually chose German firm Hanse Haus for the build because of their reputation, transparency and belief in their products. Hanse Haus' Sales Director for UK & Ireland Bruno Kleinheinz is a scientist and engineer rather than a traditional salesman, and Tony respected this approach of just providing information and answering questions, in the knowledge that their houses will sell themselves. And it worked! Founded in 1929, Hanse Haus have now built over 30,000 houses and although the architecture and style of their houses vary, each house has a focus on energy efficiency and comfort. Tony and Jean bought a plot in Inverness as they were looking to relocate anyway to be closer to their son. This serviced plot formed part of 24 self-build homes, every one of which was unique. The design brief from the council had quite a few restrictions and specified aspects like the colour of the render, the need to have corner stones, grey tiles, black PVC downpipes, and so on. It was also facing north, which was not ideal for solar gains. However, it had a glorious view and so they knew this was the spot. It might seem counterintuitive that you will get a bespoke home when it is factory-built but that is exactly what happens. The process still involves a local architect for the design work, much as would happen on any project. The only difference being that it makes a lot more sense for the architect to know how Hanse Haus' pre-manufactured system works. This means they can optimise their designs and it becomes less expensive for the client. For example, using the standard-sized windows instead of making them 1cm bigger would make it cheaper in production. However, if you're willing to pay for it you can have what you want! 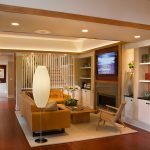 For this project, Tony and Jean used an architect that Christian Wittke from Hanse Haus had worked with previously and who understood the system. The final design was a bungalow with a split level roof. It would have a low metal sloping roof on the south side, allowing for a row of windows above it to bring solar gains into the north facing rooms. 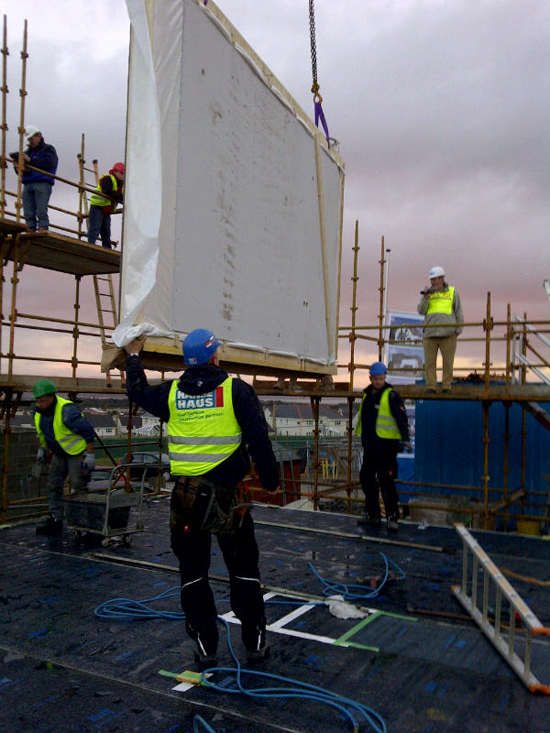 The structure was weather proof in two days and then all the work was completed within 12 weeks! Tony and Jean moved in at the beginning of 2013 and are estimating that their heating bill for the year will be £140. It seems that their custom build experience was a very positive one. They even have a positive planning story – we don't hear these too often so let's enjoy it! How Do I Know I’m Getting an Energy Efficient Home? This morning this headline caught my eye. It's a story about a family that bought a house, thinking that its eco credentials would be a guarantee of lower energy bills when in fact the reverse ended up being the case. We could speculate where it all went wrong but I wondered whether with the knowledge I have now, I could have avoided making a similar mistake? Hopefully the answer is yes! So I thought I'd share some of my thoughts on this topic. At any given time there will be different buzzwords that sum up opinions and desires. Right now, the biggest pain point is rising fuel bills and people perceive ‘eco-homes' to hold the answer. If I buy an eco-home, then my bills will be cheaper, some might think. While that could be true, unfortunately it depends on what you're buying. If the local builder realises that he can't sell houses anymore unless they carry the buzzword of the day, then guess what, he's going to jump on the band wagon. So we have to be really careful we are buying the genuine article. Annoyingly there is no way you can tell if a house is energy efficient from its appearance. Solar panels and other renewable sources might have their place in generating energy, but have nothing to do with energy efficiency. Think of them as the eco-bling! You want evidence of how the building performs. Although I could look at the Energy Performance Certificate (in the UK) of a house, I would prefer to see a history of bills. This is a lot more telling and although the previous occupants of a house may be very careful energy users it's likely to give me a good feel of what to expect. If the house is energy-efficient then the current owners will probably be eager to share this information. If you want to buy a new build, then clearly you won't have data from the previous occupant. This is what makes me wonder whether self building (or custom building) has come of age. So much of creating an energy efficient home depends on attention to detail and when you buy from a volume house builder you have no idea what you are getting. If you could instigate the construction of your house, you are far more likely to get things right (assuming you've done your research!). Energy efficient homes don't come about by magic, they work because of building physics. If you can grasp the basics of this then you're more likely to invest wisely. Here's an overview and then there are some links to help you continue your research. Space heating (or space cooling in a hot climate) is where the largest energy savings can be made. That's why we often hear about a fabric first approach, because by investing in the fabric of the building we can reduce these energy losses. Very high levels of insulation and air tightness are needed for this. And of course, if your house has an airtight seal then it becomes equally important to get proper ventilation (with MVHR – mechanical ventilation and heat recovery). All this requires components (windows and doors, etc.) that perform very well. Clearly this is just scratching the surface. I suggest visiting the International Passive House Association to get more information and also a link to an affiliate association where you live. Episode 4 of our podcast also includes an interview with one of the founders of the Passivhaus standard, Professor Wolfgang Feist. For a long time there's been a big difference between what's on the plans and what you actually get when it's built. This is another strength of the Passivhaus standard. 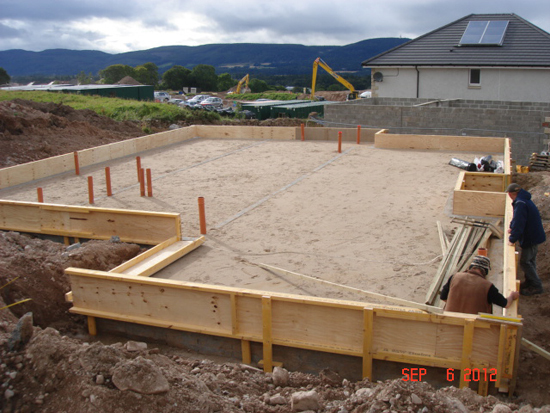 As part of its mandatory technical requirements, an air tightness test is required after construction. It would be very difficult to cheat this test if you'd cut corners during the build and so certification is like a guarantee of the build quality. 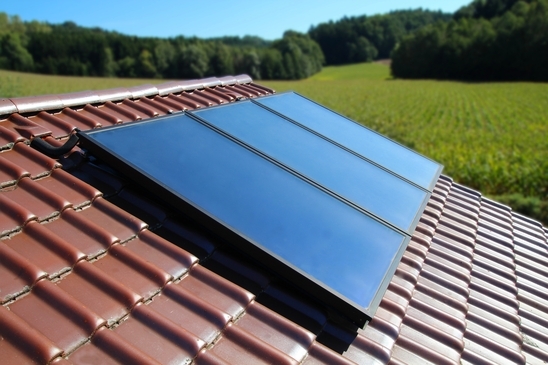 What other research will you do to make sure your next house is more energy efficient? A few times in our podcast series we have talked about the maximum space heating demand for Passivhaus (15 kWh/sq.m/year) and EnerPHit standards (25 kWh/sq.m/year). If like me these numbers are starting to stick, then you're probably wondering how they relate to your current property. Alex Rice has helped me understand all the information you need to do your own calculation. 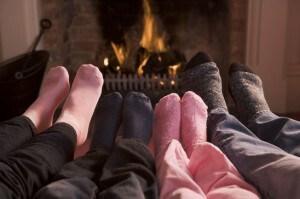 In essence, you need to divide up a year's worth of space heating energy use by the measured floor area of your house. This is assuming you want to follow the Passivhaus conventions. First, you need to be clear about the difference between delivered energy (useful if you're only interested in how well insulated the building is) and primary energy (which also takes into account how efficiently the heat is generated and is relevant to climate change). 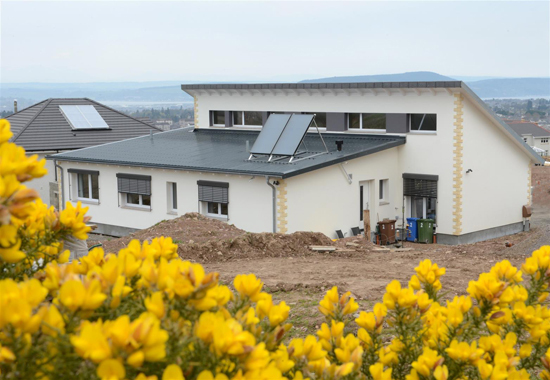 Passivhaus uses delivered energy for space heating (15 kWh/sq.m/year) and also has a limit on how much primary energy can be used in total to heat and service the building (120 kWh/sq.m/year). This means if you want your number to be comparable with the PH convention you would need to divide your gas consumption in kWh by the efficiency of your boiler (about 0.6 for non-condensing and 0.9 for condensing) to find out how much heat it has actually delivered to the building. Exclude the area of stairwells, internal walls, cupboards, plant rooms, doorways. The first step is to make good use of whatever meters your building has. There's a very good website called iMeasure which allows you to input your meter readings at irregular intervals and it will attempt to estimate your annual energy consumption. It also takes the floor area and outputs the data as primary energy consumption in kWh/sq.m/year. If you add the two numbers for electricity and gas together you can compare that to the 120 kWh/sq.m/year part of the Passivhaus standard. The normal range is between 300 – 800 kWh/sq.m/year. As a general rule of thumb, if you have gas heating and hot water then hot water accounts for about 10% of consumption. More accurately it's about 600 kWh/year plus 400kWh/year/person, where children are counted as about half a person. According to DECC one should allow about 3% of total energy consumption for cooking. If you also have a stove you'll need to make an estimate of how much energy came from wood/coal and add that to the space heating. At the end of all that you should know your delivered space heating energy in kWh/sq.m/year which you can compare with the Passivhaus 15 kWh/sq.m/year figure, bearing in mind that Passivhaus assumes you heat to 20ºC all the time. Answers for ‘normal' buildings should be in the range 100 – 300 kWh/sq.m/year. How do your figures stack up when compared to the Passivhaus standard? We'd love to know. Leave us a comment below. When Retrofitting on a Budget, is a Piecemeal Approach to Energy Efficiency Better Than Nothing? When building new there is a very strong case for why you would want to build to a low energy standard such as Passivhaus. Applying the methodology is relatively simple, it doesn't cost that much more, the buildings will then be easier to maintain and they’ll be more comfortable. If you’re already doing an extensive retrofit of a building, it also makes very good sense to aim for the Passivhaus or EnerPHit standard. This is because the additional work and the additional cost involved is quite limited. 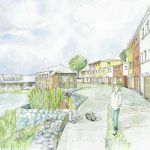 As new build and extensive retrofits of buildings don’t account for a huge amount of the work that’s done on UK housing stock what tends to happen is most people do a little bit of work here and there, and maybe when they can stand the disruption and afford it they will do a bigger piece of work. If you find yourself in this position you may be wondering whether to wait until you can afford a whole-house retrofit or to take a few energy saving measures. The crux of this is that with a piecemeal approach it’s very difficult to achieve Passivhaus performance, even if it is practical to produce very substantial improvements in the energy performance of the building. So where does that leave you? Is the money going to arrive any time soon?! Cost is still the greatest challenge we face if we hope to bring our housing stock to a low energy standard. Dr Brenda Boardman in her book ‘Achieving Zero Delivering Future-Friendly Buildings‘ proposes that every building and every house in the UK should reach the Passivhaus standard by 2050. It would be a mighty task. 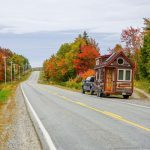 [Dr Boardman will be a guest in a future House Planning Help Podcast episode.] For now at least, unless you personally have the money to carry this out, there are no other funding sources available. In the future this may change for regulatory reasons but if you want to be pragmatic in what kind of interventions are practical and good value now (assuming you have made as many lifestyle energy saving choices as you can) you may find yourself back at the piecemeal approach. Look at your energy bills. How many kwh per m2 per year are you using? The figure might be 300kwh per m2 per year. How long do you intend to live in the property? Typically that could be another decade or two. What budget do you have available? Energy prices over that time might go up by a factor of 2 to 4, taking a rough guess based on past historical energy prices. If we know your available income based on your pension, in order to be spending about the same amount of money on energy as you are now when you’re a pensioner you need to achieve a certain energy target. Typically this might end up in the range of 50-80kwh per m2 per year. With an energy target, an energy strategy can then be worked out which calculates what choices need to be made given the constraints. By doing this work piece by piece over a long period of time, you know you will eventually achieve the target. It's worth bearing in mind that certain work, such as changing the windows, is quite low impact and can be achieved in a very short space of time. Conversely internal wall insulation will typically make a lot of mess and involve redecorating the room. 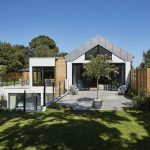 As we start to look at the challenges of retrofitting on the House Planning Help Podcast we will be hearing from Tom Pakenham from Green Tomato Energy about how he retrofitted his Victorian home to the Passivhaus standard. He will also share his advice on how to improve the energy performance of your home.